Harmony cloud the leading technology in the cloud revolution developed for small to medium businesses. 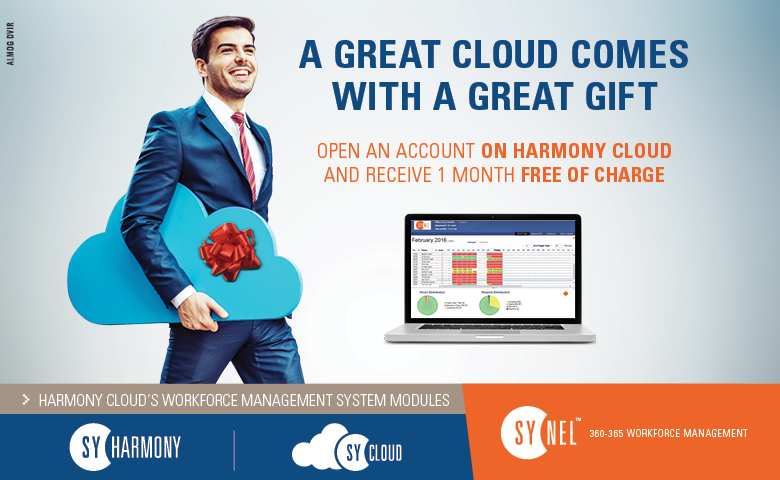 Harmony cloud give the most powerful time and attendance systems that only big organization can afford to the SME. Using any Web browser small companies can access Harmony cloud at any time. Employees may report on time working and projects or cost center. Employees may report for future absence. Employees may view the total working time and confirm the report in the end of the month. Managers may view the group total working time and compare with the planning time. Managers approve for any employee manual changes or requests.